This morning for my staff meeting I served my staff bacon and eggs. Brought in an electric frying pan, started up the bacon about 30 minutes before they arrived. 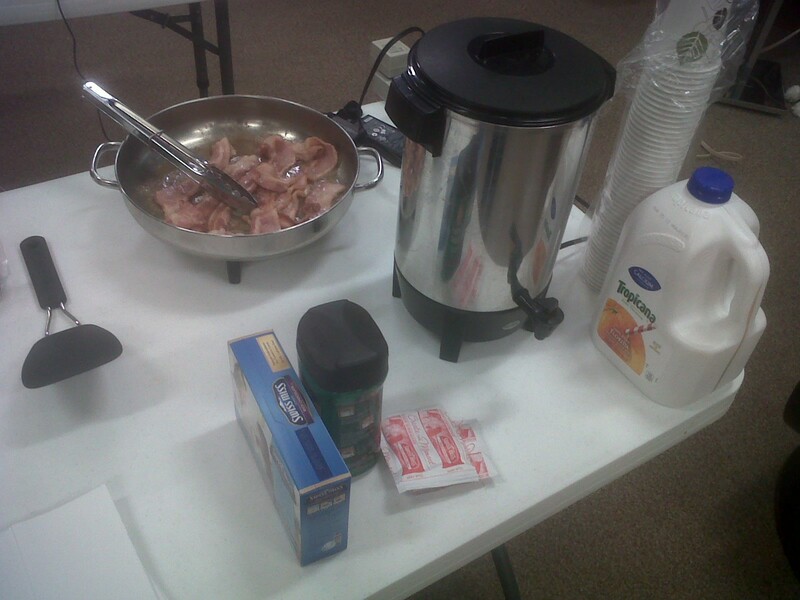 Had some coffee, orange juice and bagels ready, too. Not a bad way to start the day post-Super Bowl. A couple of the more hungover staff truly appreciated it. I got the idea from Jeff Sexton. He wrote a killer blog breaking down one of my favorite ads from the Super Bowl - the Audi ad where the kid was going alone to the senior prom. If you don't follow the link to his blog (you should - in fact, if you do all your own advertising, you should be following his blog), the basic premise is that it is storytelling at its finest through a series of rituals. There are twenty "rituals" shown in one minute. Rituals are powerful. Summer camps know this. Summer camps are full of silly, goofy rituals. And those rituals are what make campers want to return. Rituals make kids feel like insiders because they know what to expect, they know what to do, they feel important and special. Rituals are comfortable. We love rituals. We have so many rituals in our everyday lives, many of which we aren't even aware. Your morning routine is a ritual. You do it the same way almost every day. And if something throws you off your ritual it can set you back for part or even all of the day. In the past I have served my staff crazy breakfasts like ice cream. I did it to make a point that there are no rules on what you can and can't have for breakfast. It felt uncomfortable. But they got the point. Too often we limit ourselves to the norms and are afraid to break the rules. This morning I served them bacon and eggs because those are the comfort foods. Just the smell of bacon was a reminder of the ritual of breakfast. It was comfortable and comforting and felt right. Only a handful of staff had ice cream. They all had bacon. They all knew the ritual. As I type this, the bacon aroma is still wafting through my office door. And the discussions of the rituals we have here at Toy House (free gift-wrapping, the birthday bell, the flag-raising ceremonies, the way we interact with customers) and how we can make them more memorable and consistent, continues to reach my ears. Your business has rituals that remind your customers of you, that make your customers comfortable, that make your customers feel like insiders. Identify those rituals. Make them more consistent and memorable. You'll create more loyal customers in the process. I'm off to go test drive that Audi. PS Which Super Bowl ad made you actually interested in the product? Thanks for the plug, Phil. I strongly agree with you on Rituals. The trick is to consciously craft rituals that help your business, improve the customer experience, and so on. Most people leave that to chance and that's a mistake, IMO. If you're a retailer, spend some time thinking about what kind of symbolic significance you'd like to add to the buying experience in your store and/or to the items you sell. 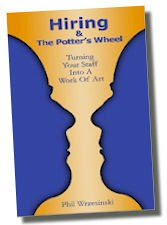 Now craft a ritual designed to impart exactly that significance. How can you ritualize the cross or upsell? For example, there are rituals around buying a really nice pair of shoes: shoe trees, shoe horns, little cloth baggies for packing said shoes, and the occasional conditioning and polish for the leather. How you present this to them matters. A lot. It should be a ritual. Eggscellent suggestions! (Sorry, couldn't resist) This morning our staff explored the ritualistic happenings we already have and how to pump them up and make them more memorable and consistent. At our next meeting we'll be exploring new rituals we can institute throughout the store.